Kidscan – Children’s Cancer Research want you to join the famous Greater Manchester Marathon on Sunday 7th April! This super fast and flat course takes you from Chester Road in Old Trafford, taking a route around the local area of Trafford and ending at Emirates Old Trafford, the home of Lancashire Cricket Club! Marathons are never easy, however, we will be there to support you every step of the way. By pushing your fitness to the next level, you can have the motivation of knowing that you are helping us fund vital, safer treatments for children that are diagnosed with cancer in the UK every day. For more details on this event, visit the official event website here. 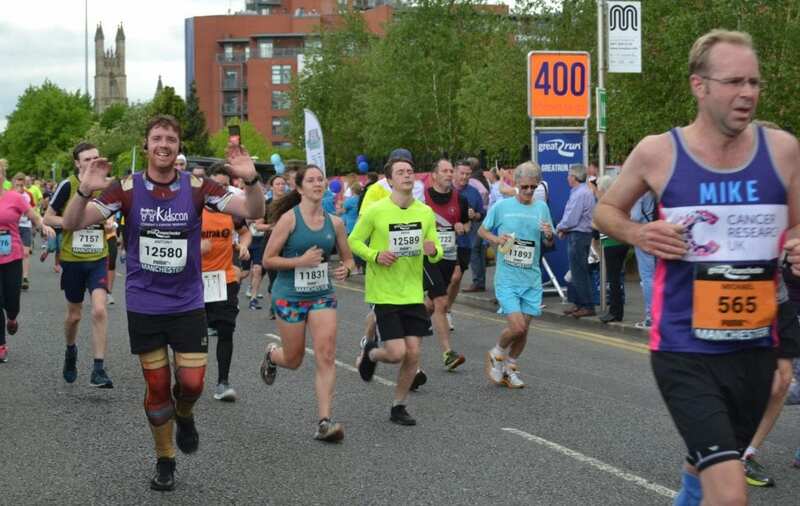 We have a limited number of charity places available for this year’s Greater Manchester Marathon. The ASICS Great Manchester Marathon registration fees £30 with a minimum sponsorship target of £250. For more information visit the official event website. I have already got a place in this run, and want to start fundraising, what do I do next? If you already have a place and want to fundraise for Kidscan, that’s great! Simply let us know about the run you have signed up to on the link below, and we will send you our fundraising pack. It’s full of ideas to boost your sponsorship, tools to help you spread the word and instructions on how to set up an online fundraising page. Why should I fundraise for Kidscan? Can my family and friends cheer me on? We love making as much noise as possible on race day! We’ll send out details of where our cheer point will be in advance of the race. We’d love to see your family and friends there on the day! Let us know in advance, and we’ll make sure we have t-shirts ready! How do I fundraise for Kidscan? Fundraising can be easier than you think! You can set up an online donation page or use one of our paper sponsor forms to get your fundraising off to a great start. If you want to boost your fundraising you could run a sweepstake, asking people to make a donation in order to guess how long your run will take you. You can also run your own ‘mini fundraisers’ to raise extra money. These are usually small events like bake sales that are easy to organise and plan. *Entry fees are correct at time of publishing. Always refer to the organisers’ website for the latest information.